Much to everyone's surprise, archaeologists found traces of a prehistoric civilization in coastal Peru that inhabited those territories much earlier than previously thought. Moreover, those humans were advanced enough to use clever techniques and have complex social networks. A groundbreaking discovery of an early sophisticated society was made by American scientists at Huaca Prieta, a site of a prehistoric settlement beside the Pacific Ocean in the Chicama Valley, Peru. The site is home to one of the earliest and largest pyramids in South America, and archaeologists often find traces of camping grounds of Indian ancestors who inhabited that part of the country about 5,000-8,000 years ago. Conducting excavations at one of these mounds, archaeologists have excavated hundreds of thousands of artifacts, most of which are at least 8,000 years old, while some findings were created as early as 15,000 years ago. For decades, scientists have been arguing about the origins of human society in Peru. According to a classic theory, people could have migrated to the Americas from Siberia to Alaska using the Beringian land bridge, which was located on the site of the modern Bering Strait during the last ice age. That means people could have crossed the land bridge not later than 12,000 years ago and could have eventually reach the southernmost point of South America about 11,000 years ago. The newest findings, published in Science Advances magazine, indicate that coastal territories of modern Peru were inhabited 15,000 years ago, and prehistoric Peruvians had a much higher level of development that was believed. They were skillful enough to make intricate hand-woven baskets and fabrics, catch fish with hooks and harpoons and cultivate avocados, peas, pepper, pumpkins and even some medicinal plants. 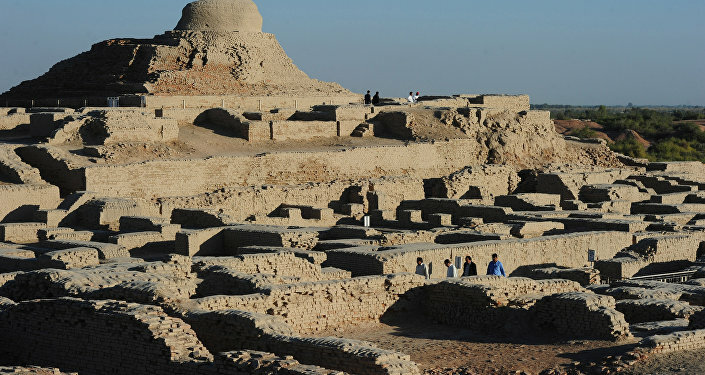 "The mounds of artifacts retrieved from Huaca Prieta include food remains, stone tools and other cultural features such as ornate baskets and textiles, which really raise questions about the pace of the development of early humans in that region and their level of knowledge and the technology they used to exploit resources from both the land and the sea," said James Adovasio, co-author of the study and a world acclaimed archaeologist at Florida Atlantic University's Harbor Branch. According to Adovasio, the society had a standardized or organized manufacturing process to produce textiles and baskets, which are much fancier than they needed to be for that time period. "Like so many of the materials that were excavated, even the baskets reflect a level of complexity that signals a more sophisticated society as well as the desire for and a means for showing social stature. All of these things together tell us that these early humans were engaged in very complicated social relationships with each other and that these fancy objects all bespeak that kind of social messaging," the expert noted. It still remains unknown where those people came from. The final report of this excavation will be published in a book by the University of Texas Press later this summer.